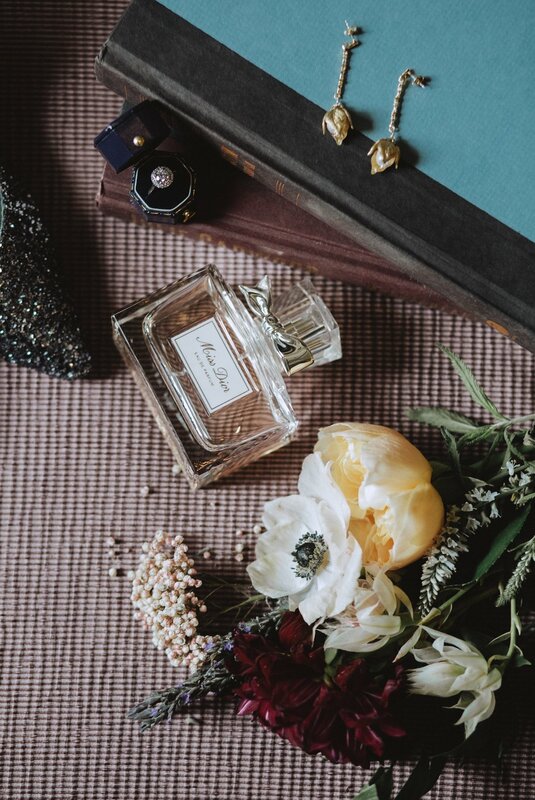 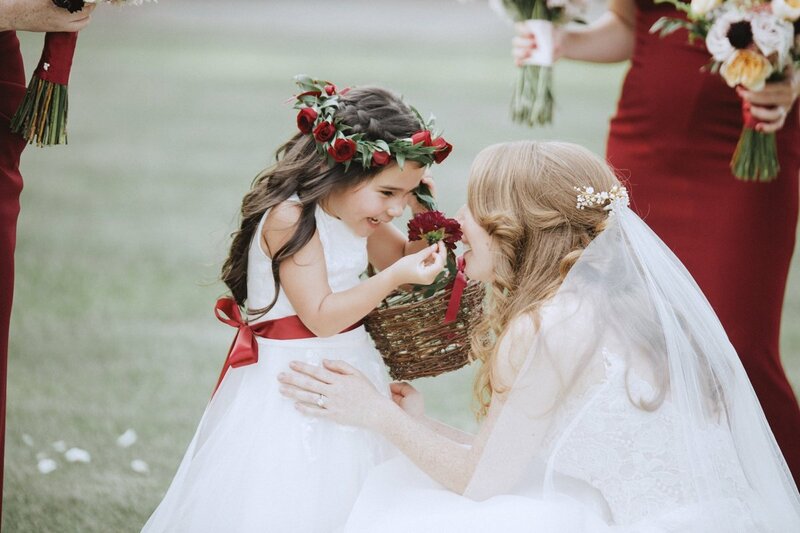 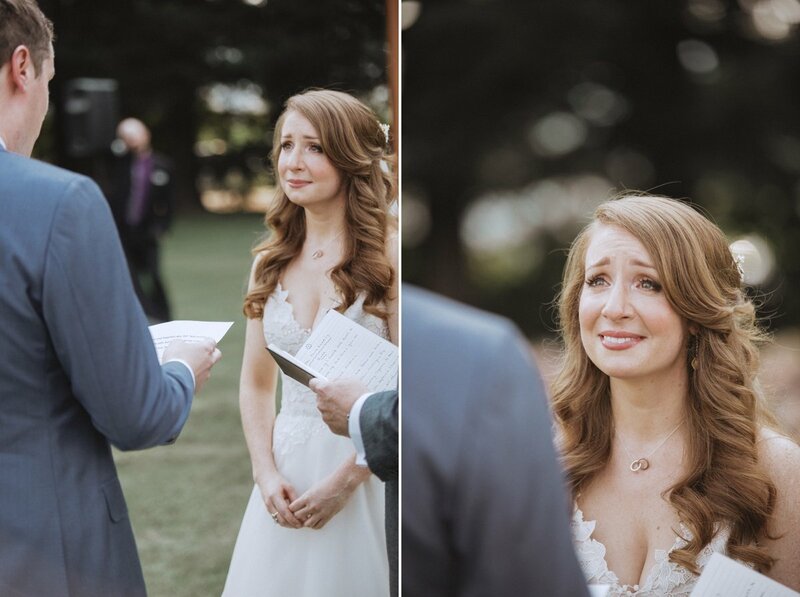 sometimes love is undeniable, this is one of those stories. 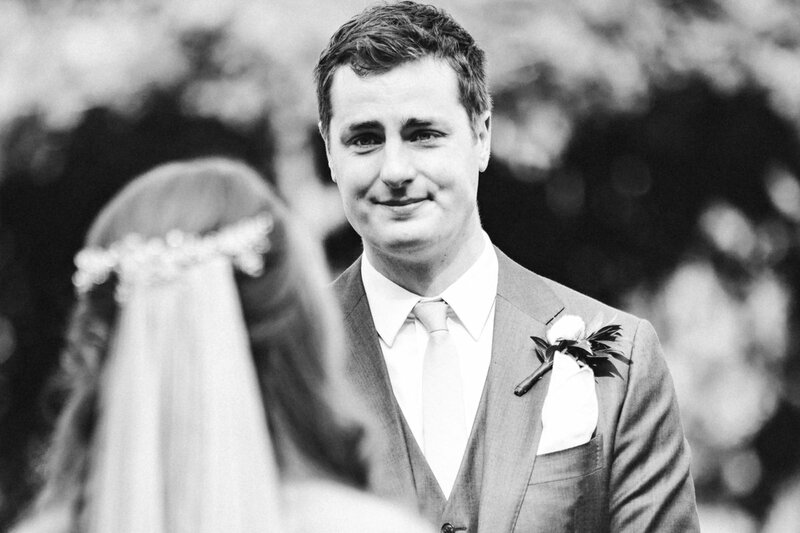 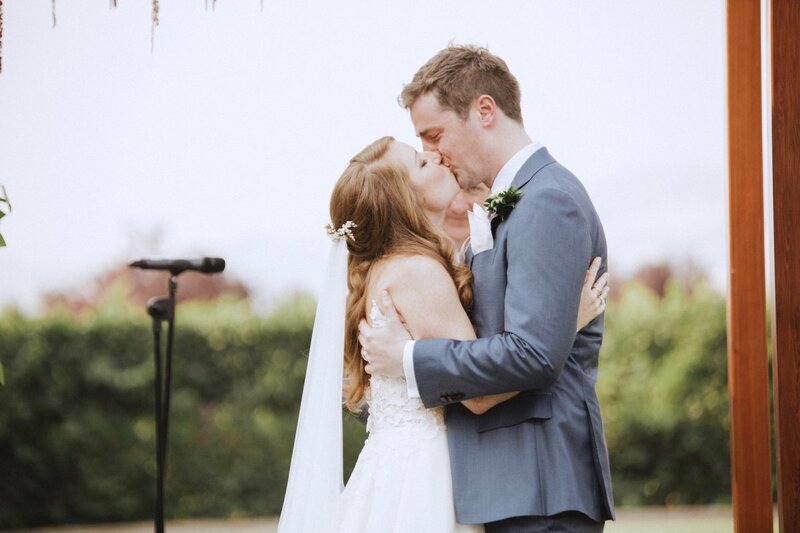 aly + james grew up across the sea from each other. 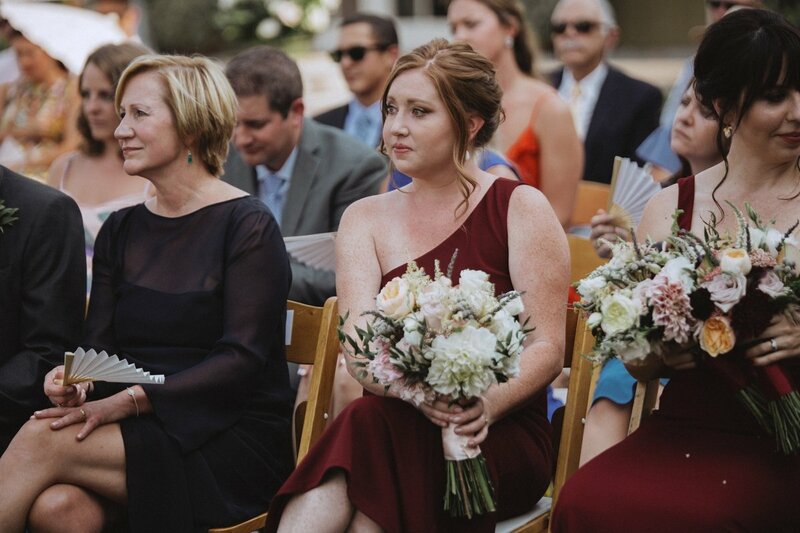 aly’s studies and career moved her to london. 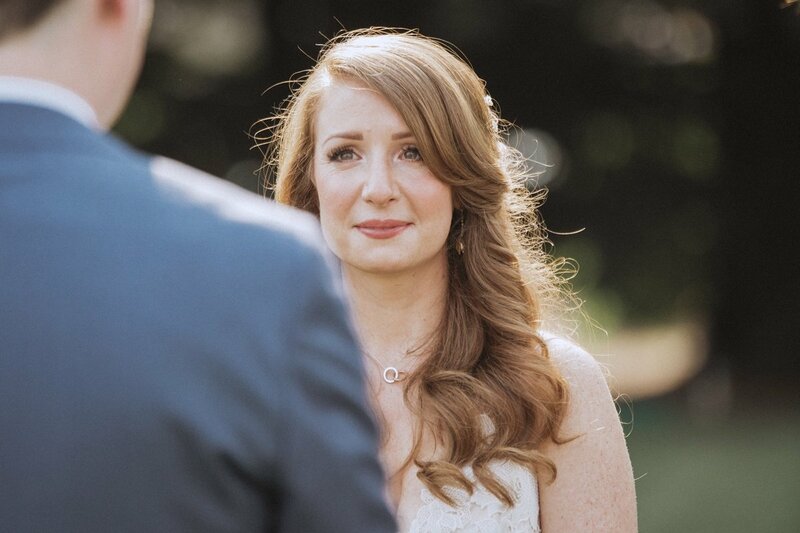 it wasn’t long before she crossed paths with james where they both admit to falling in love instantly. 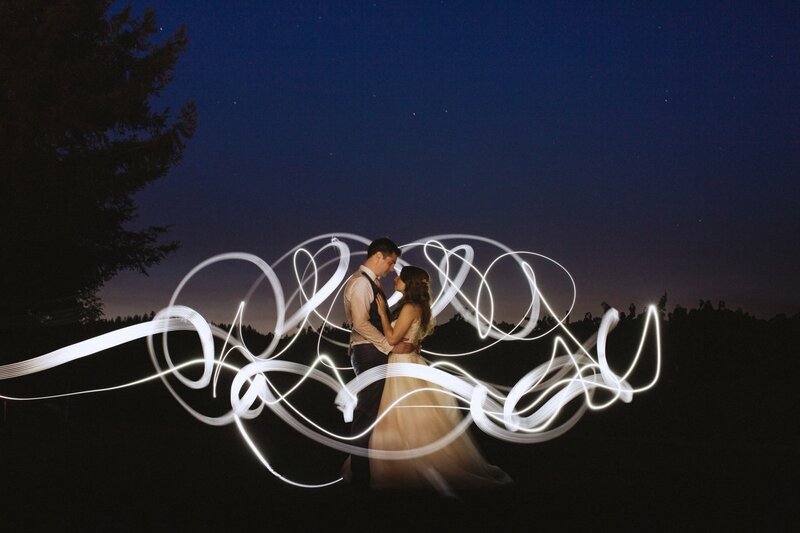 they are lovers of stories, the theatre, art and music. 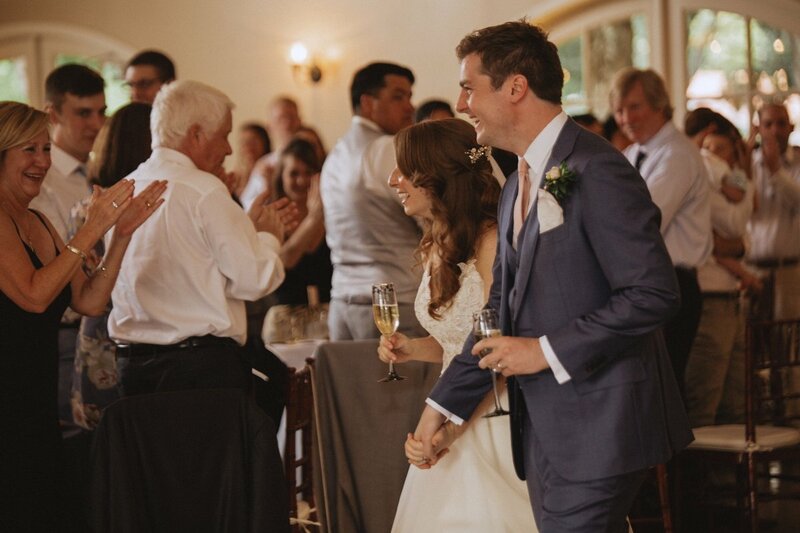 on their first date, james took aly to see matilda on the west end. 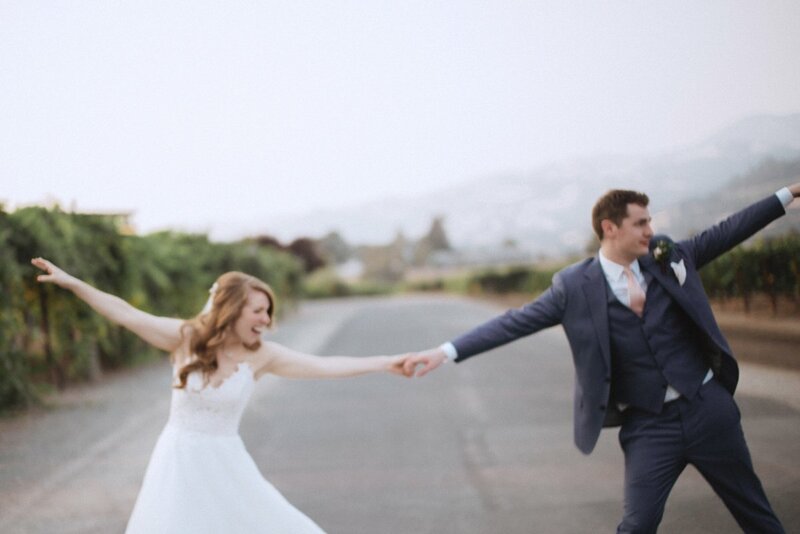 six short months later, they were engaged and planning their wedding. 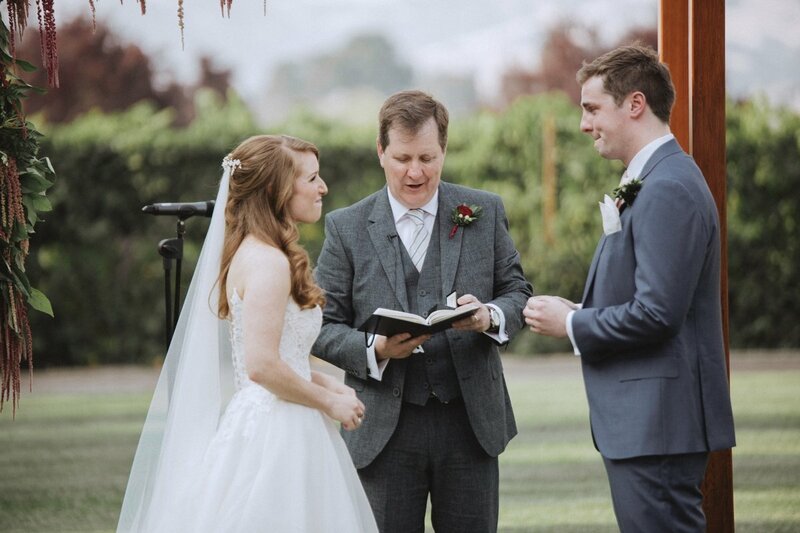 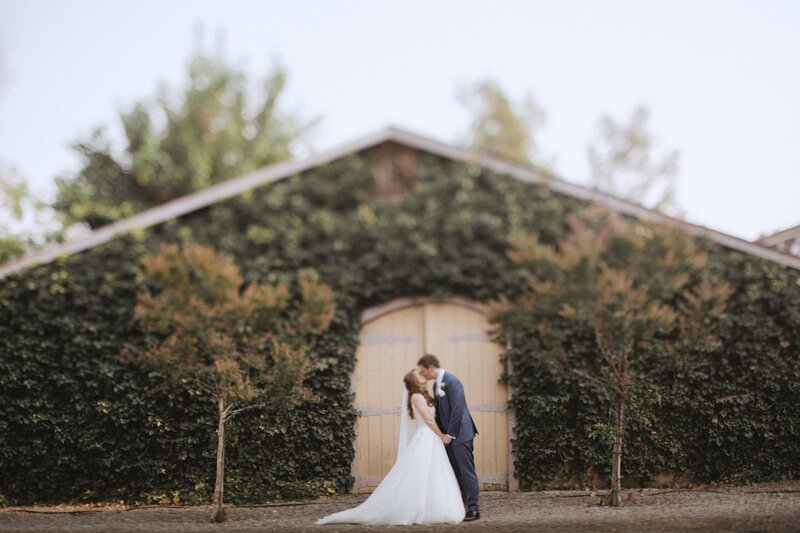 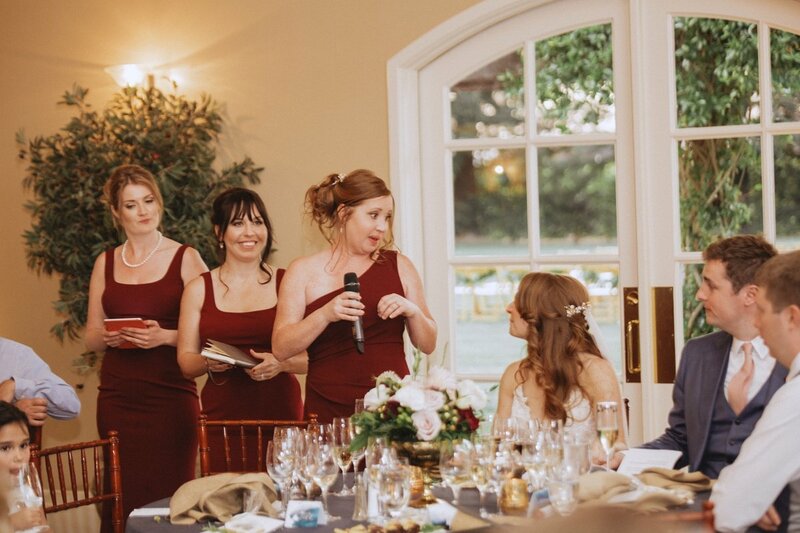 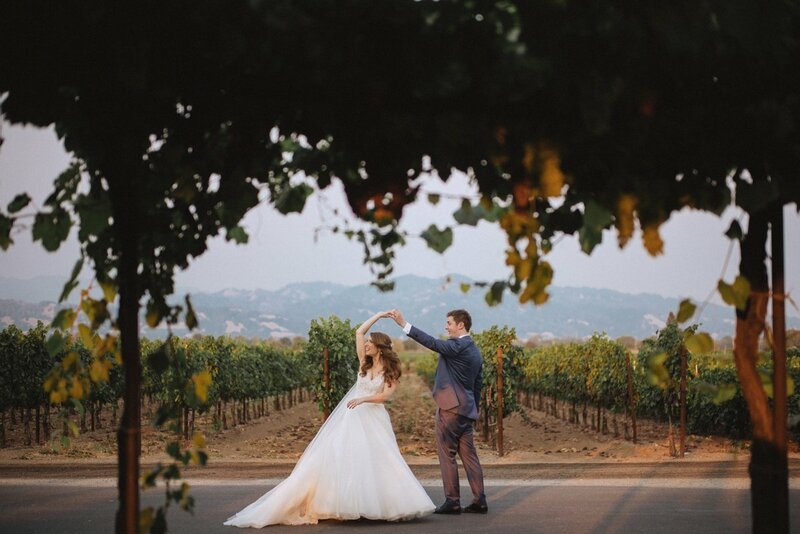 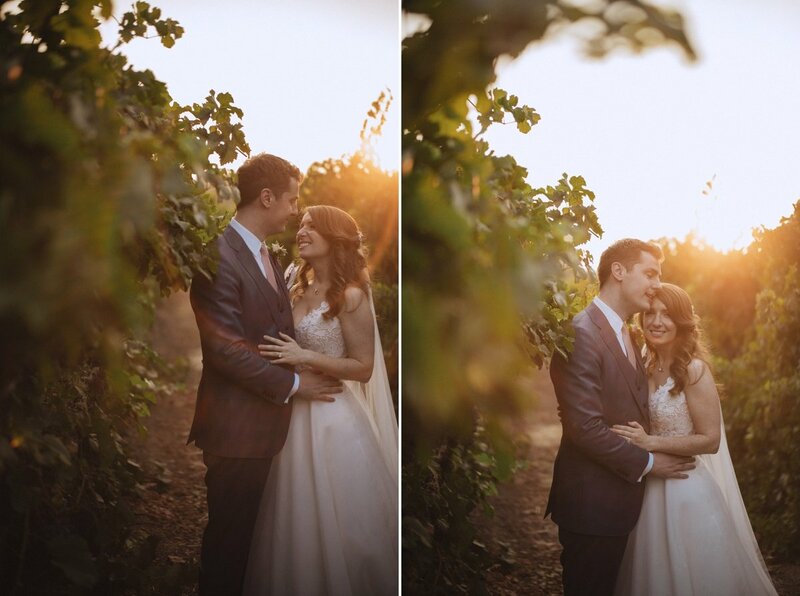 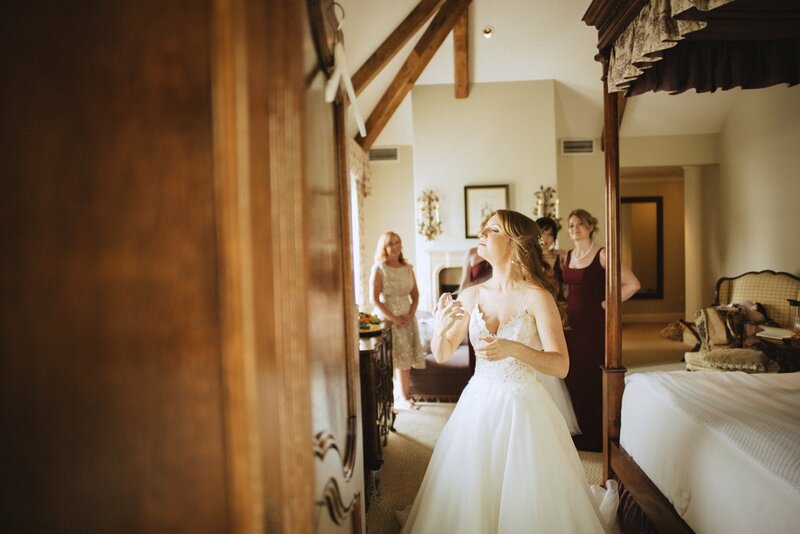 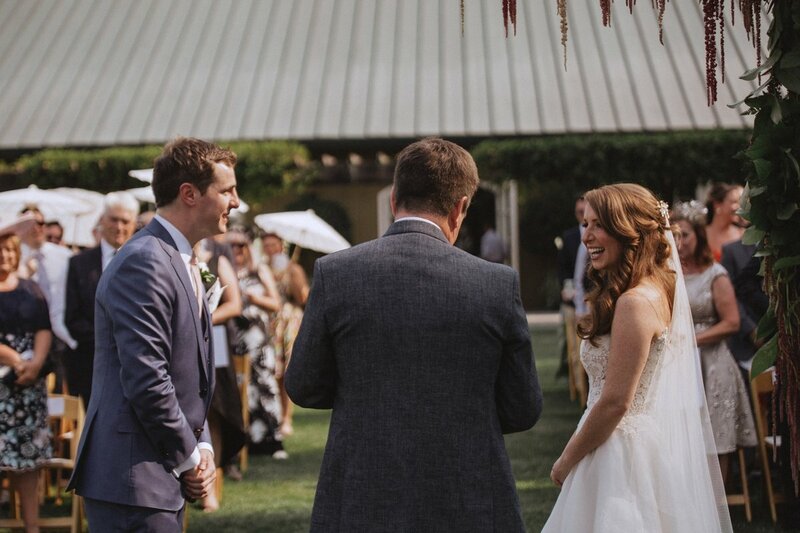 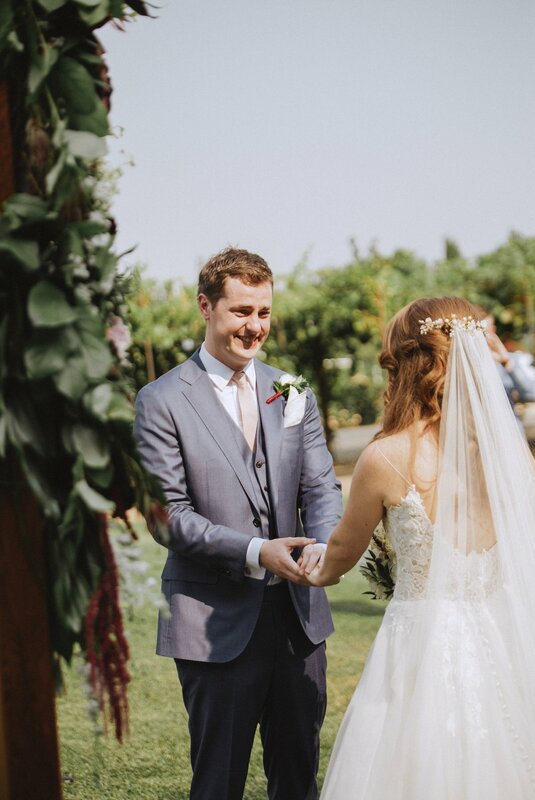 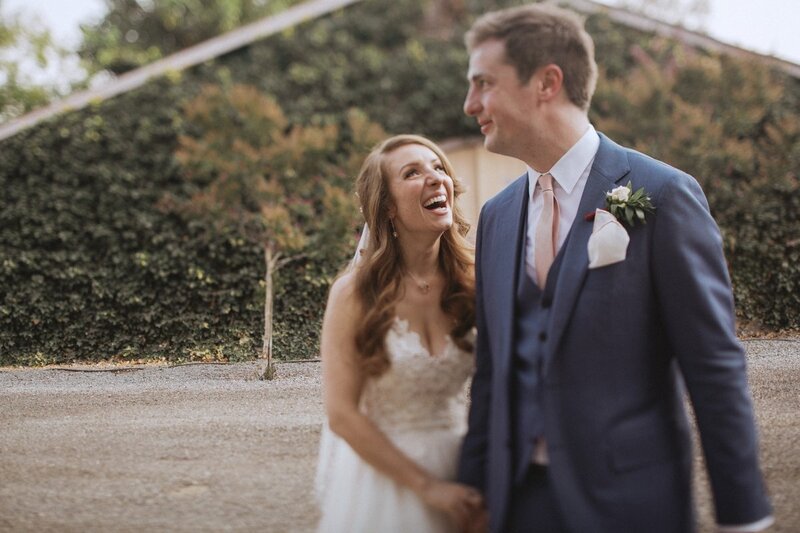 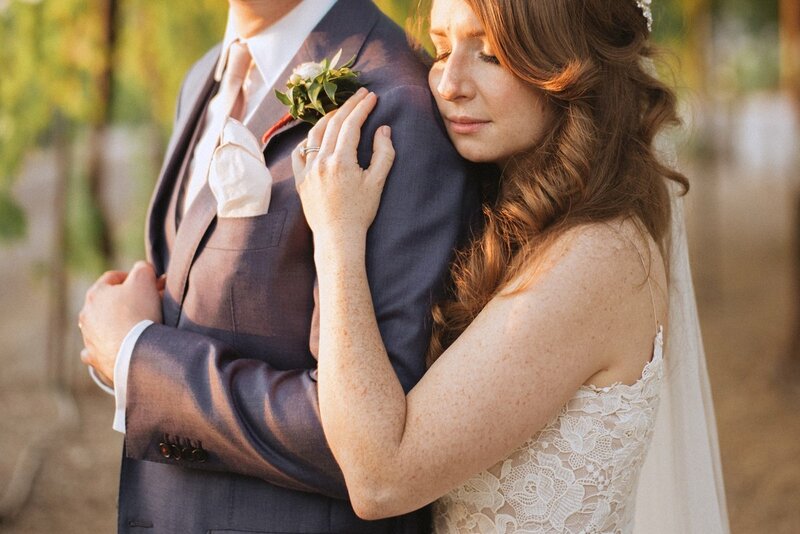 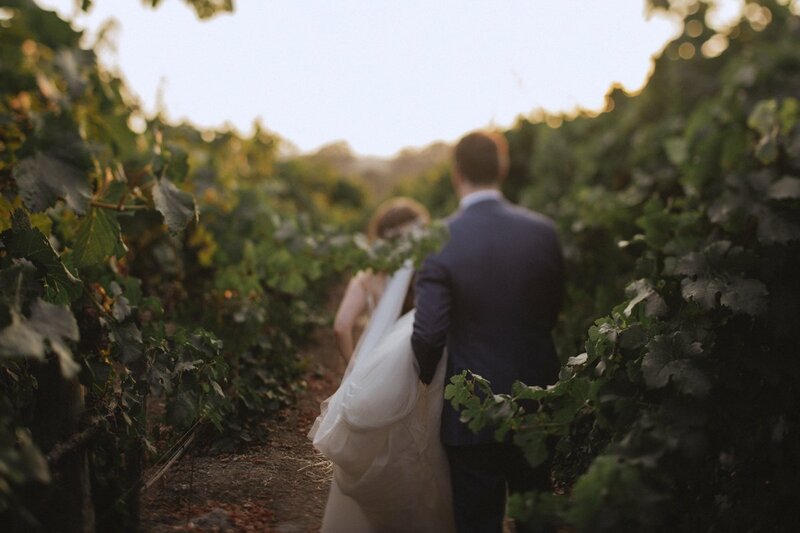 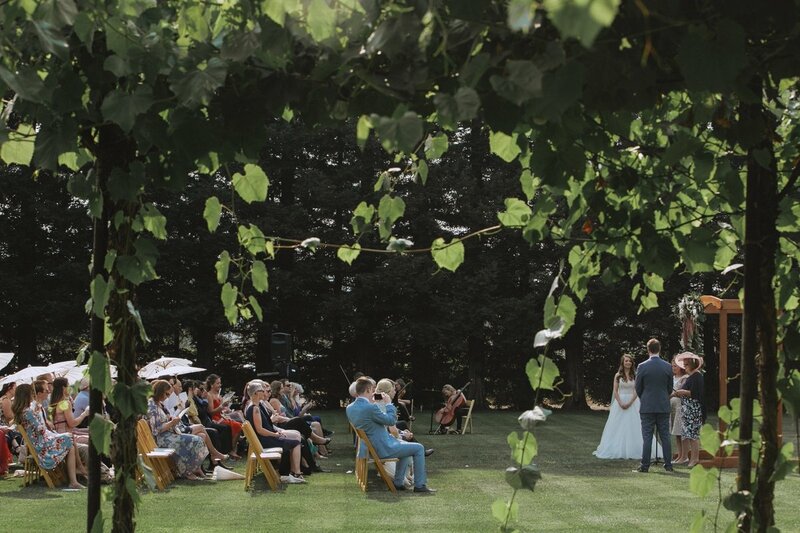 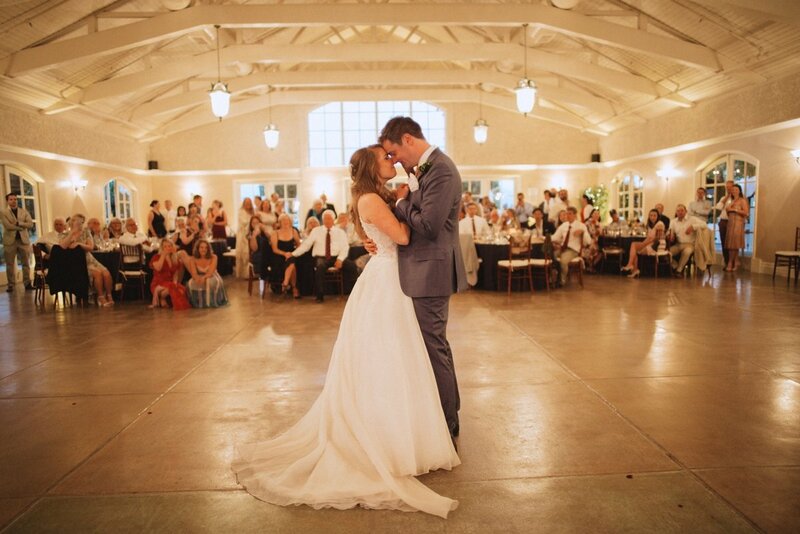 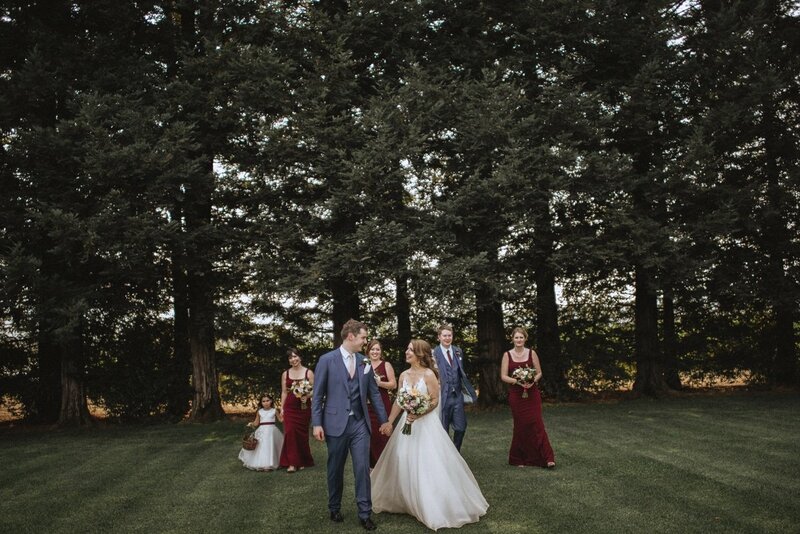 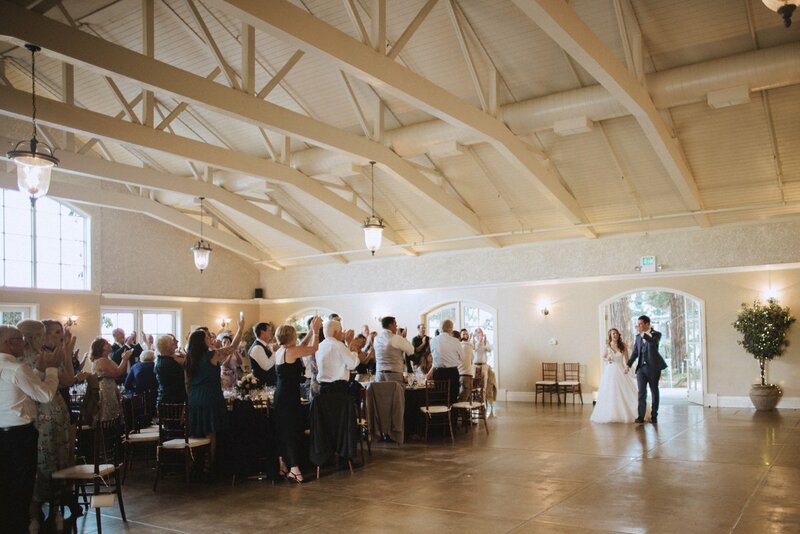 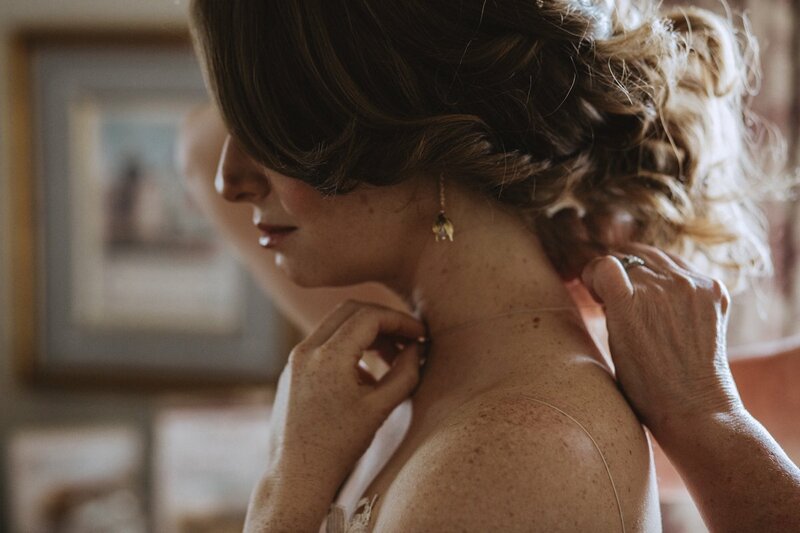 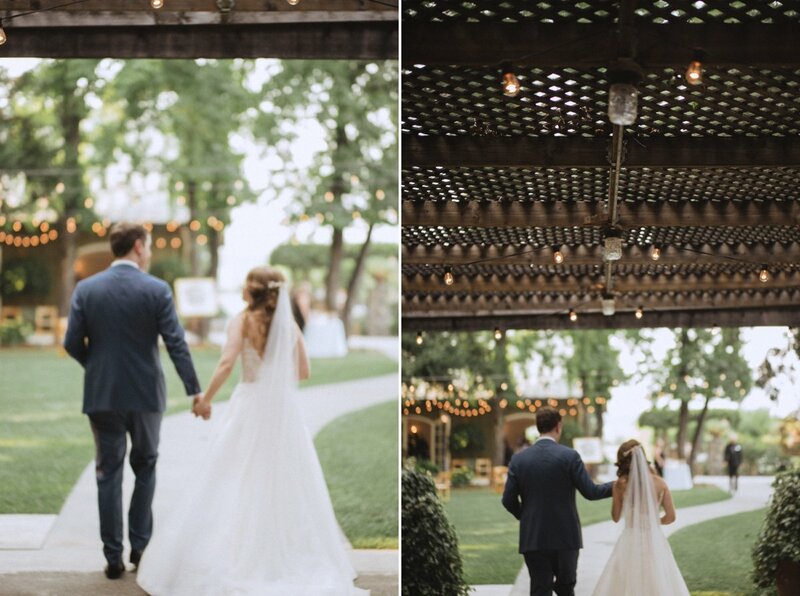 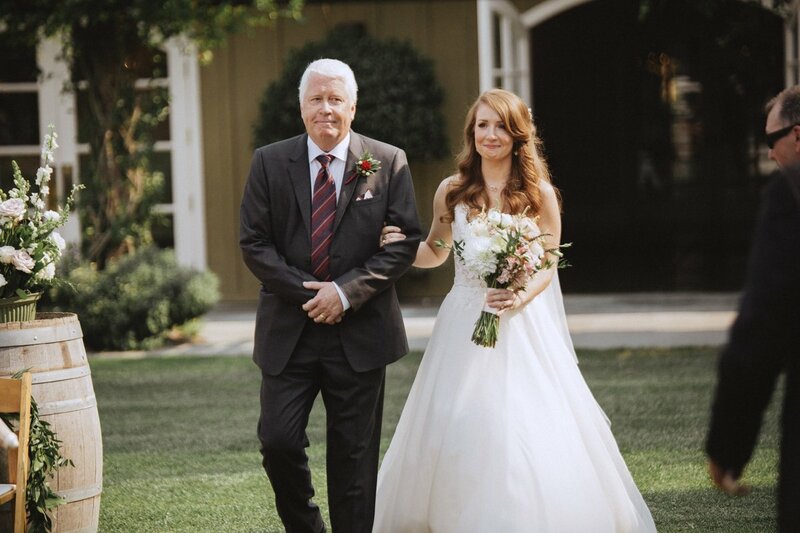 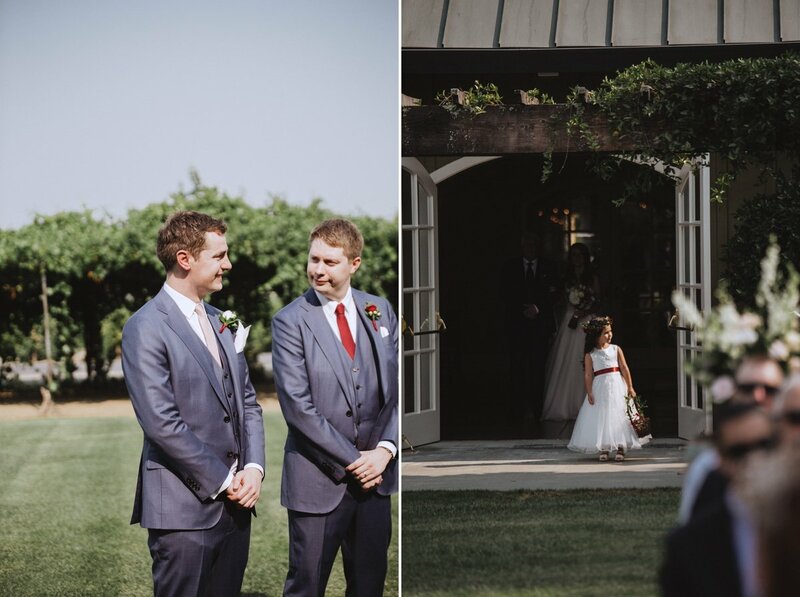 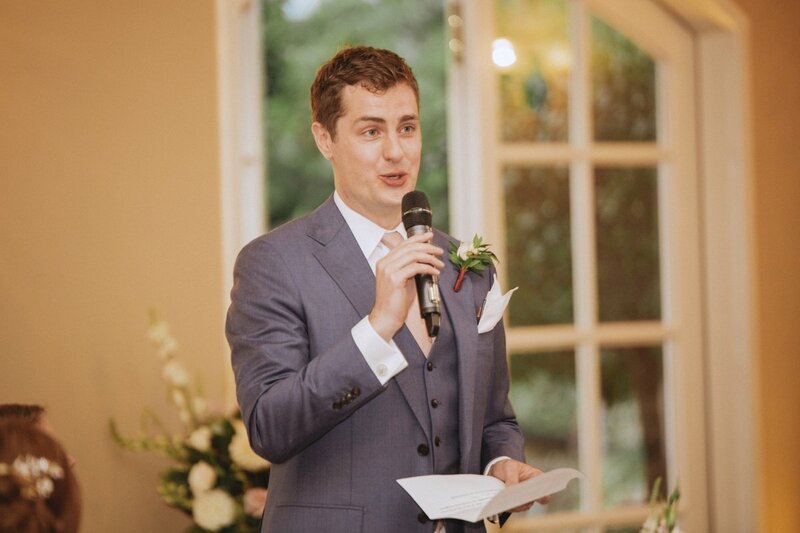 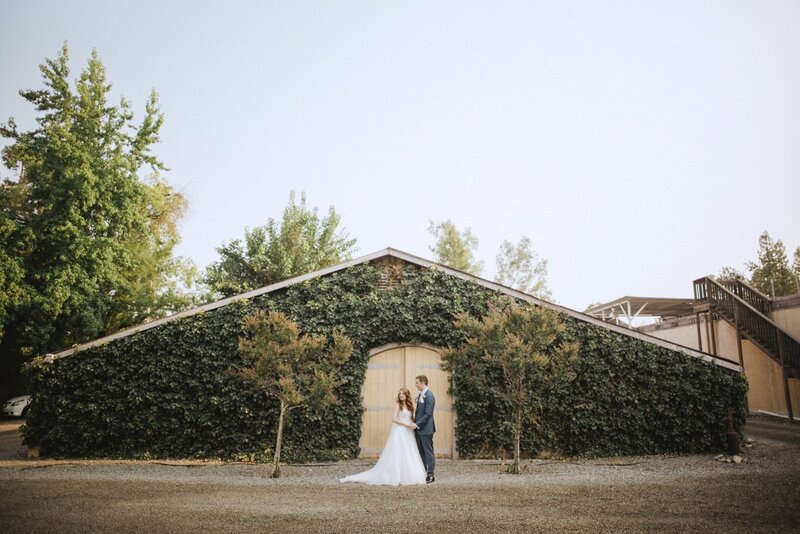 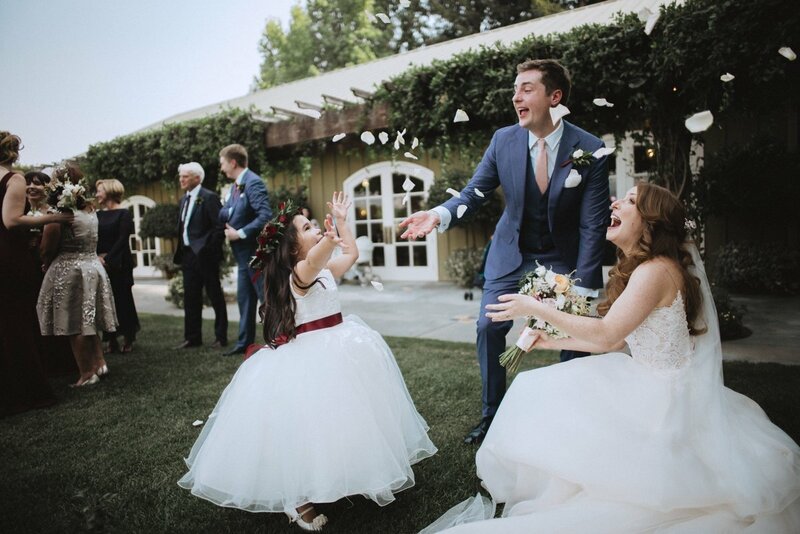 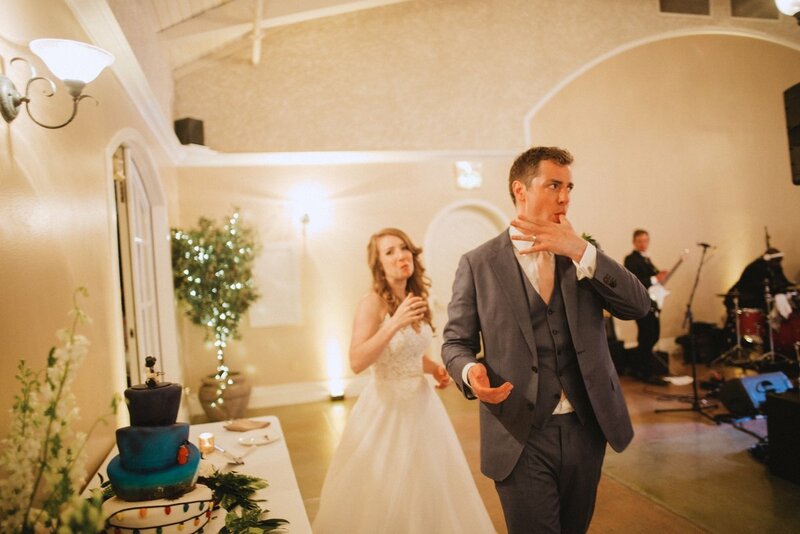 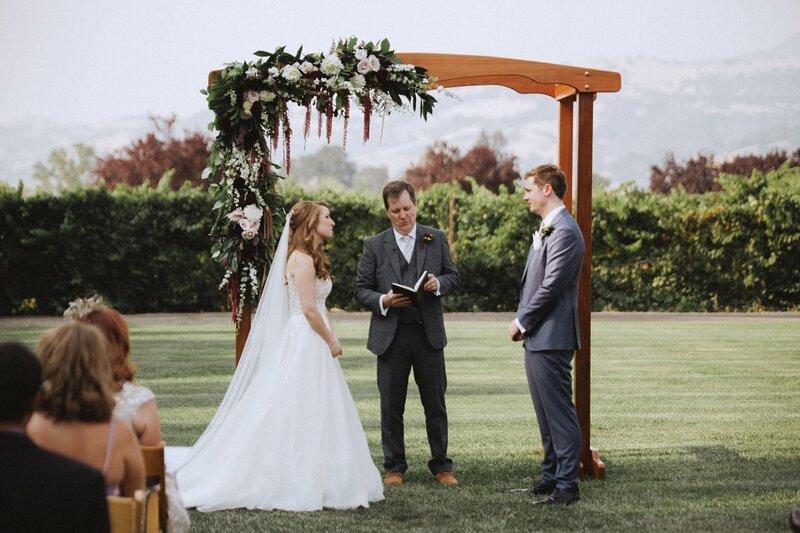 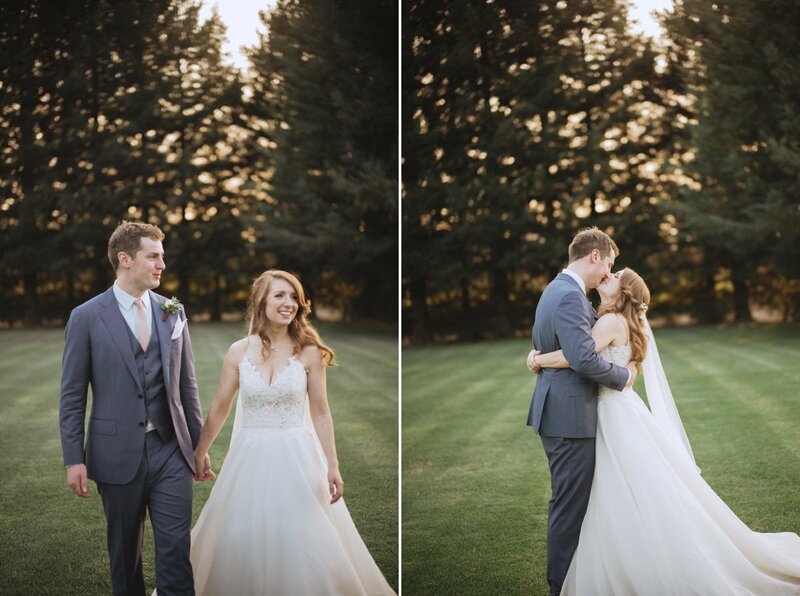 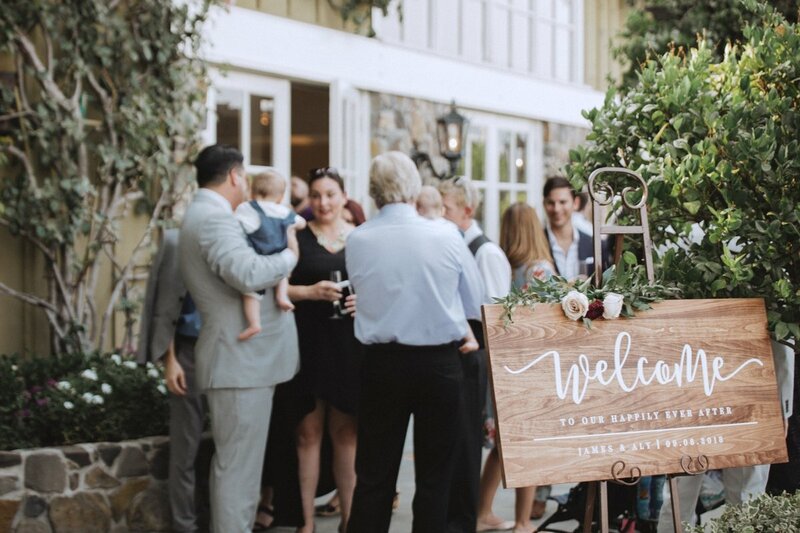 their wedding day was the royal wedding of wine country. 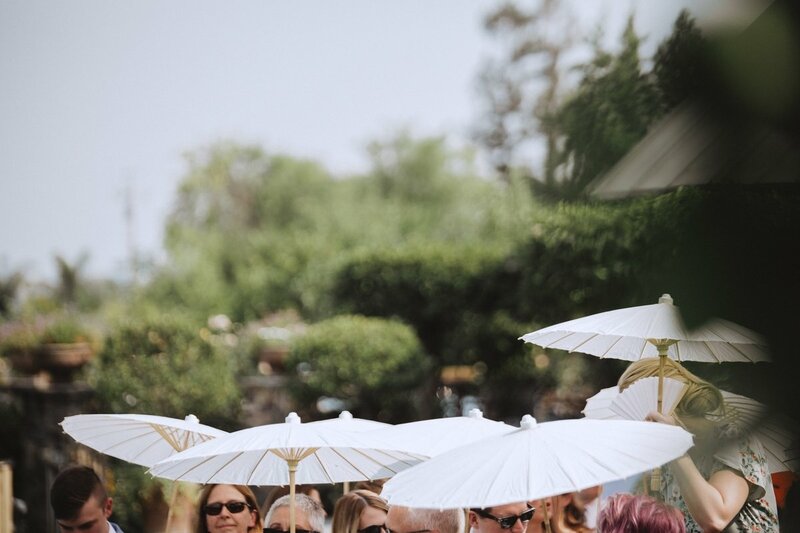 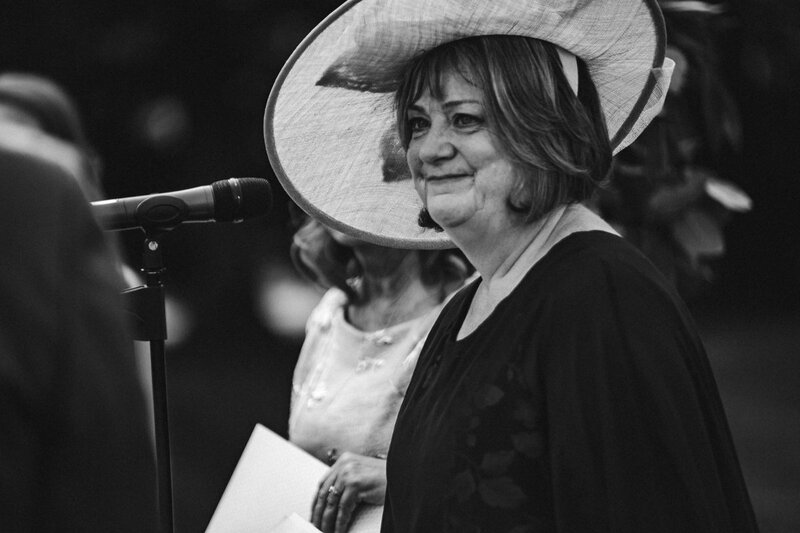 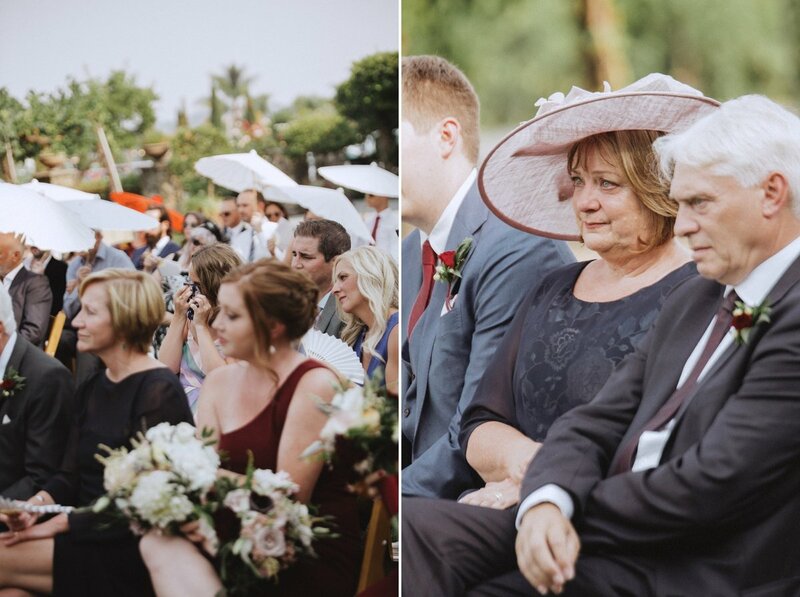 ladies dressed in fancy hats, guests dodging the sun with paper umbrellas and cooling off with colorful fans, a ceremony with special readings, surprise musical performances and lots of happy tears. 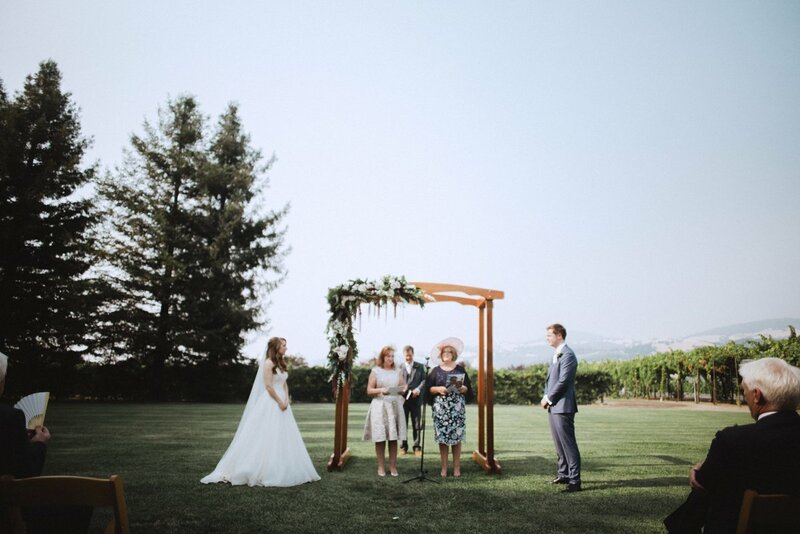 a regal and rad celebration complete with a four tier wall-e cake, a mix of florals in pastels and rich, bright pops of color, jewels decorated atop classic books and a winery location adorned with disneyland details.